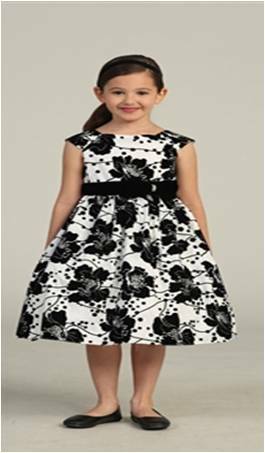 Find the perfect formal dress / suit for your child at Kids Formal! Have you been looking for the perfect formal dress outfit for an upcoming special occasion? 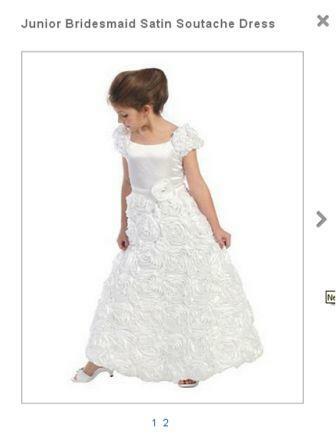 I have been looking for a couple of months for the perfect white dress for my almost 8 year old to wear on her upcoming baptism day. 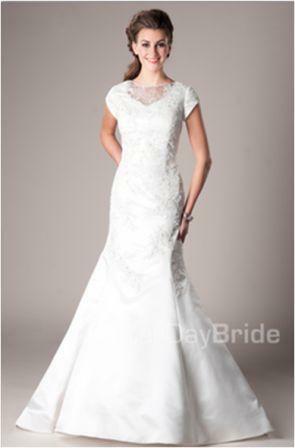 Every site I went to have the same dresses, they were all over priced, and NOTHING was unique about them. I am a very frugal person, but this is a VERY special day that only comes once in a lifetime…..I had set aside a pretty good budget for this purchase-but I want the dress to be perfect! One day I stumbled upon a blog post talking about Kid’s Formal. The blogger said the tux she had gotten was high quality, there was a large selection and the girls dresses were beautiful and unique. I had to go check it out myself. 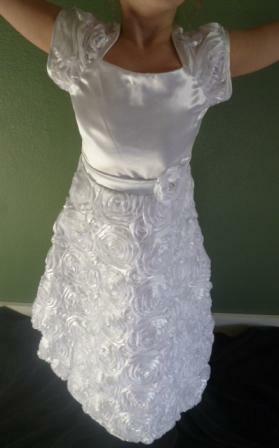 My breath was literally taken away when I saw this GORGEOUS formal dress….. It may sound cliche or possibly over the top, but it was “The One”. 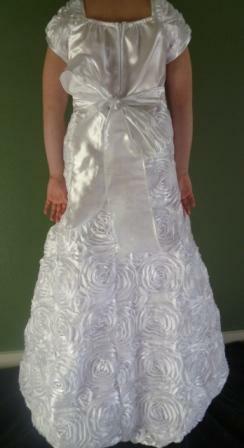 I let my daughter search through all of the white dresses, when she saw it, she screamed with joy, “THAT IS IT! That is perfect! I love that one!” It even had free shipping! It was perfect and I scored some savings. We were absolutely ecstatic the day it arrived! It was taped up securely and I opened it with care as I didn’t want to damage the dress. 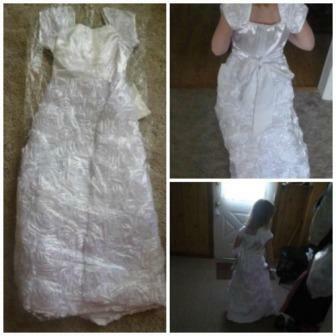 Kids Formal had thought of that too, they had bagged the dress in a garment protector bag as well as wrapped it in SEVERAL layers of tissue paper so the dress wouldn’t be “sliced” when the box was opened. 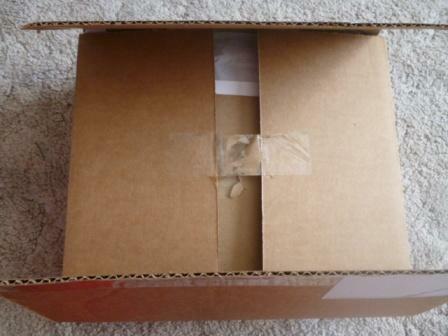 I live in a very small town with limited stores and resources, I do a lot of my buying online and I LOVE when a company takes the time to package carefully! 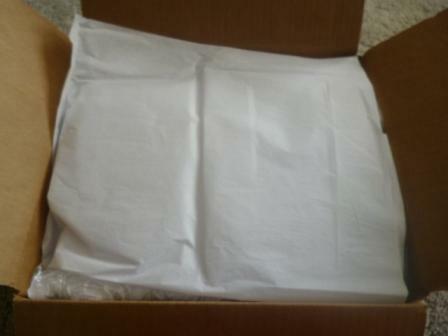 I had already unwrapped it from the tissue paper, then thought, hey I should take a pic of the careful packaging. 🙂 For the record—it WAS wrapped neatly! We had it opened for about 12 seconds before my daughter begged to try it on. She couldn’t wait to look in the mirror, she couldn’t stand still long enough for me to take a picture, so I just followed her steps to the bathroom mirror. She looked in the mirror, got a little teary eyed and said, “Mom, I think my eyes just sparkled, it’s perfect, I LOVE it!” She did look absolutely gorgeous in this dress! The detail on the dress was awesome. She loved that it had a little “train” it was slightly longer in the back. 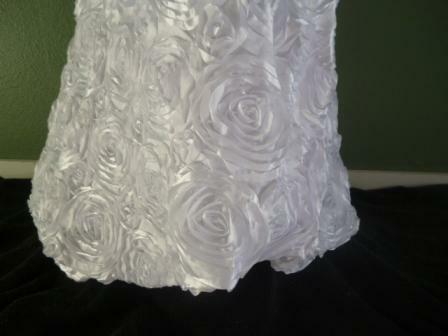 The skirt was made out of this high quality rosette fabric. 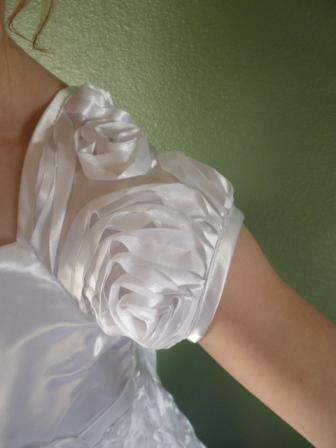 The sleeve was just as beautiful, also covered in a satin rosette fabric. 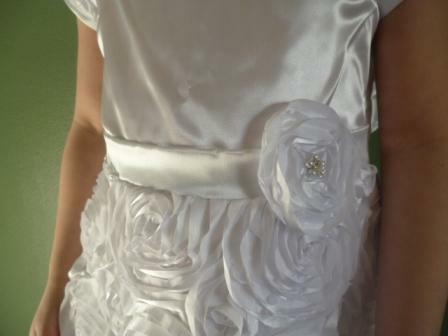 The bodice was a pure white satin with a perfectly embellished waistband! It was beautifully put together and sewn well. I love to sew and I KNOW the amount of work this would have taken to make. WOW! The back has a long gorgeous satin tie to make sure you get the perfect fit of the dress. The Kids Formal website had a size chart, so I was able to use my daughter’s exact measurements to ensure a good fit. She still has a couple of months until her special day and has been growing like a weed lately, so I got it just a tad bigger than her current size. With some new white shoes it should be a PERFECT dress for a perfect day! She feels like a million bucks in it! 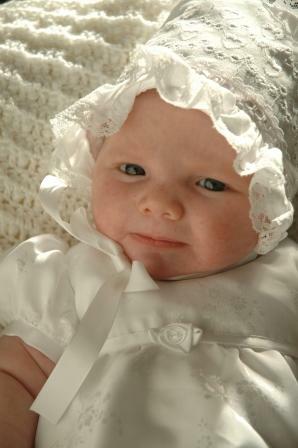 I am pretty sure it was just yesterday we were having her blessing day….where has the time gone? Someone tell her to stop growing up! Please! Here is a picture on her blessing day. Before I know it she will be wearing this white dress. She has picked this one out already. 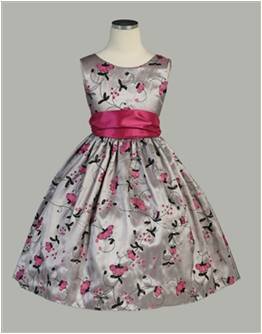 ACK, now I am fighting tears…back to Kids Formal…..they have a TON of great options, junior bridesmaid dresses, tuxes, christening gowns, holiday dresses. 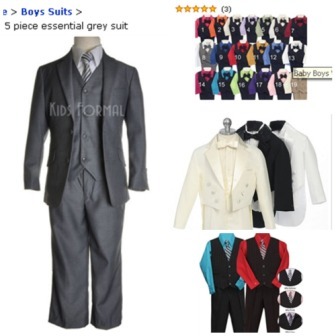 Check out some of these great formal options for boys! The girls dresses are to die for. This website is what dreams are made of for little girls. Look at some of these STUNNING dresses! As a Mom of 3 girls I am in LOVE with this site! With free shipping it will certainly be my first choice when I am shopping for special occasion dresses! We are all very excited for my daughter’s special baptism day and are so grateful to Kid’s Formal for the perfect dress for the perfect day! You can check out the kids formal website www.kidsformal.com. Kids Formal has offered to give one SUPER lucky reader a $50 gift card that they can use to buy anything from the site that they would like. They can put it towards something over $50 or score something totally for free! Check out these gorgeous formal outfits you could score for under $50…and this is just a few! We’re having a Giveaway on Facebook. All you need to do to enter is CLICK HERE and leave a comment on that post. It is a super easy 1 entry per person giveaway! The giveaway ends on 2/5/14 at 9:00 pm est and is open to US only. Feel free to leave a blog post comment below letting us know what you think about this awesome giveaway! Disclosure: I received the dress pictured above in exchange for an honest review. I did not receive any other compensation. All opinions expressed above are my own. The giveaway is sponsored and will be fulfilled by Kids Formal. Thanks for entering! Beautiful girls dresses. Thank you for the chance. Beautiful formal wear. thank you for the chance to win.